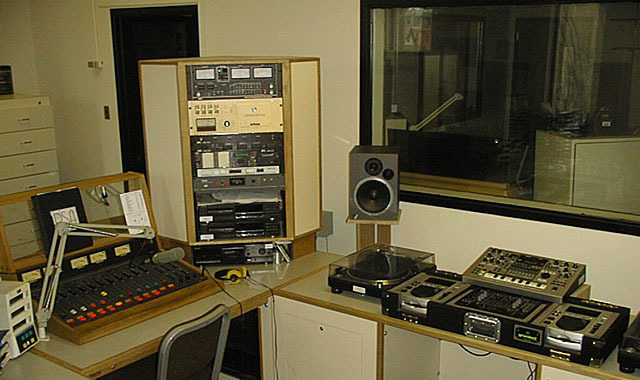 The WCLH air studio. Note the Technics SL1200 turntables and the "DJ" mixer, popular with the station's Hip-Hop programmers. The cart machine has since been supplanted with a Pentium III computer running WaveCart software.